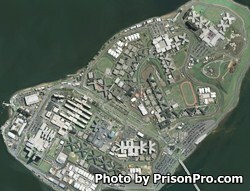 George R. Vierno Center is a jail located on Rikers Island in East Elmhurst New York. It opened in 1991 and has had several additions added onto it, today it can house 1,330 adolescent to adult male inmates. This jail has seen several riots in recent years, and in 2014 a departmental investigation resulted in nine officers being charged with various corruption charges. It is perhaps one of the more dangerous jails to be incarcerated in.